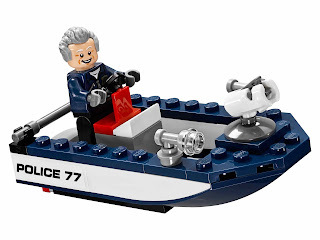 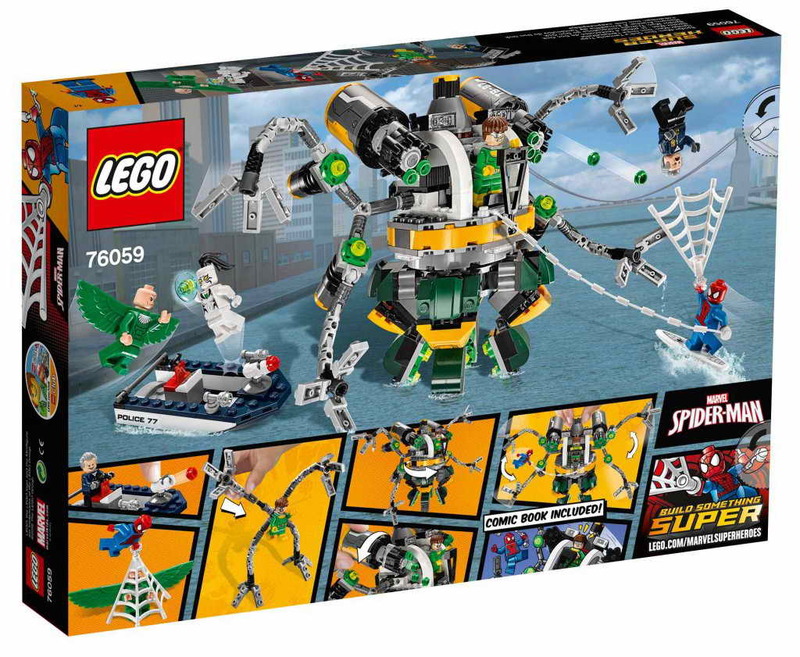 come with a doc ock's octo bot and a police speedboat. 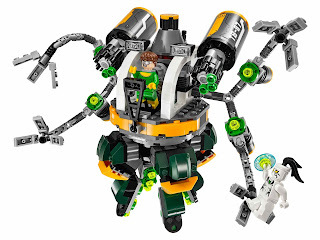 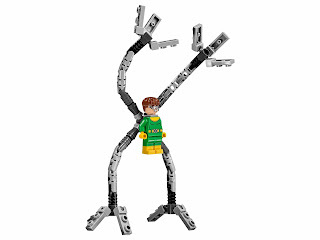 the bot has dual 6 shooting rapid shooters, a rotatable torso, posable legs, posable and detachable tentacles attached to the back of doc ock. 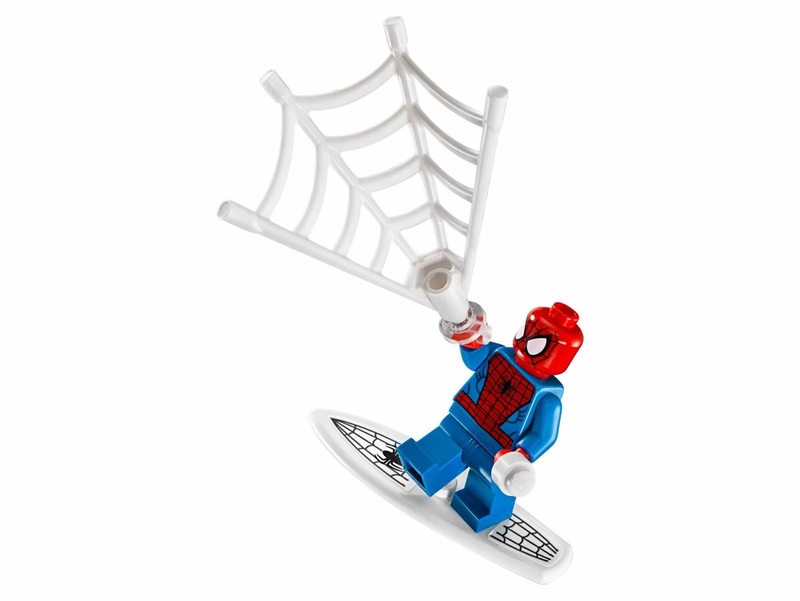 the speedboat has a stud shooter and a spider man's surfboard web rope attachment point. 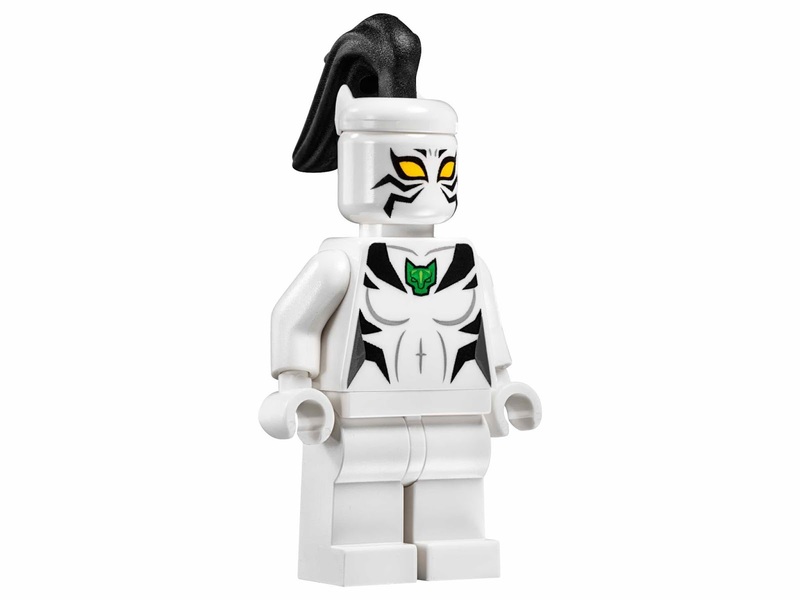 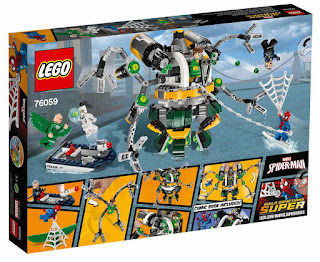 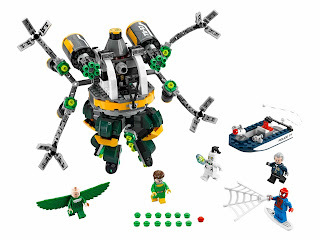 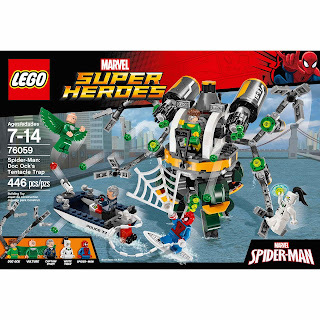 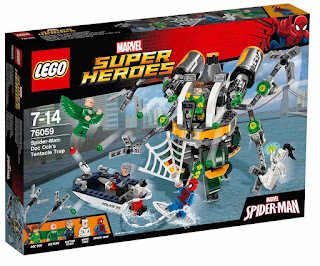 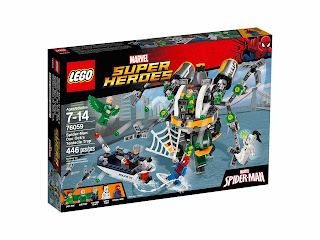 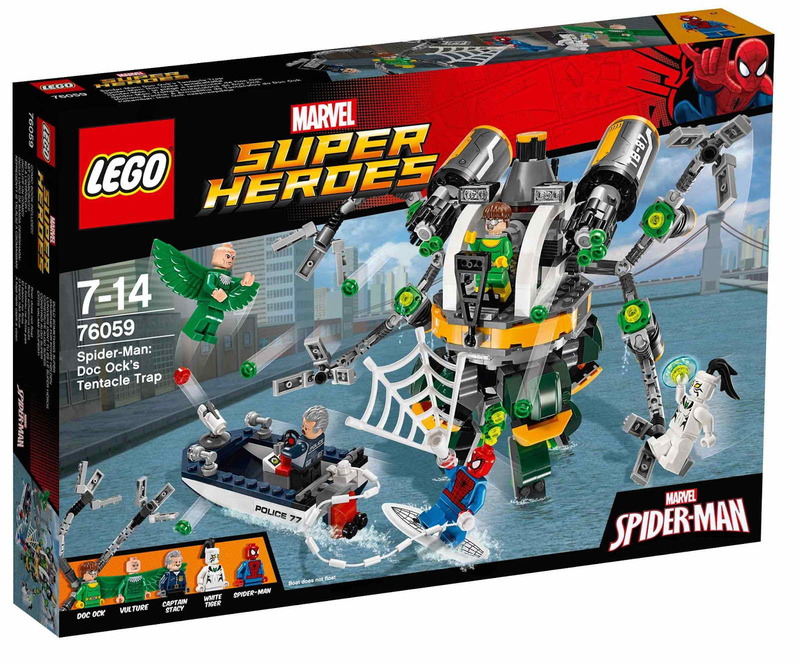 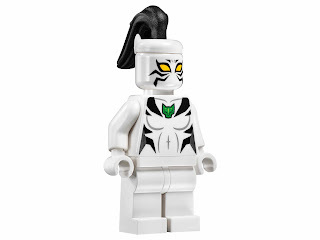 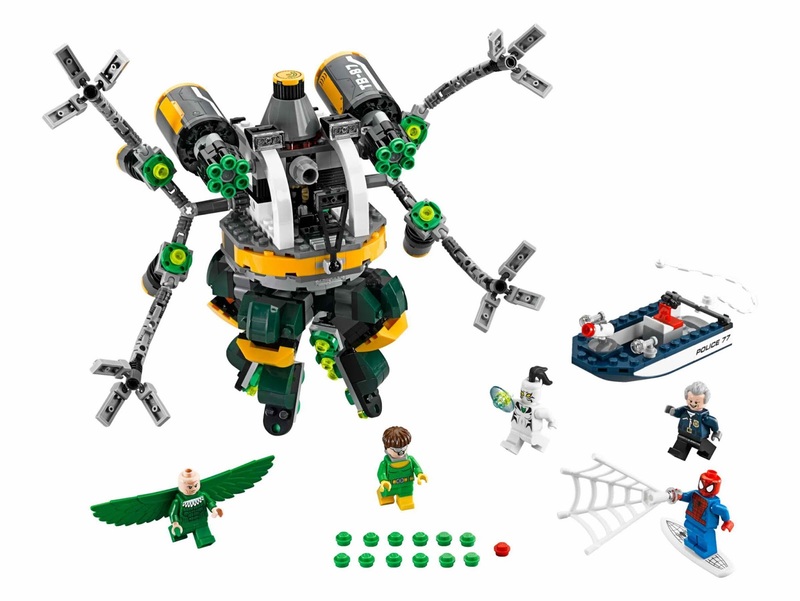 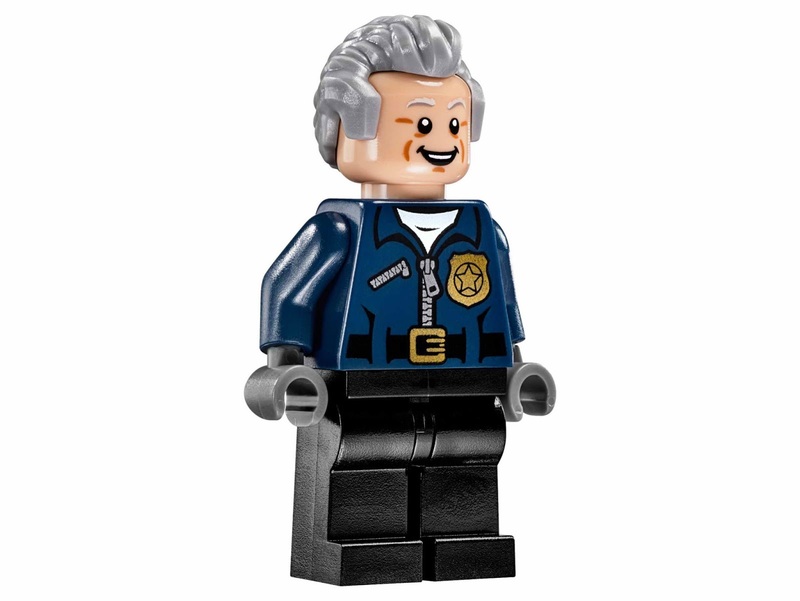 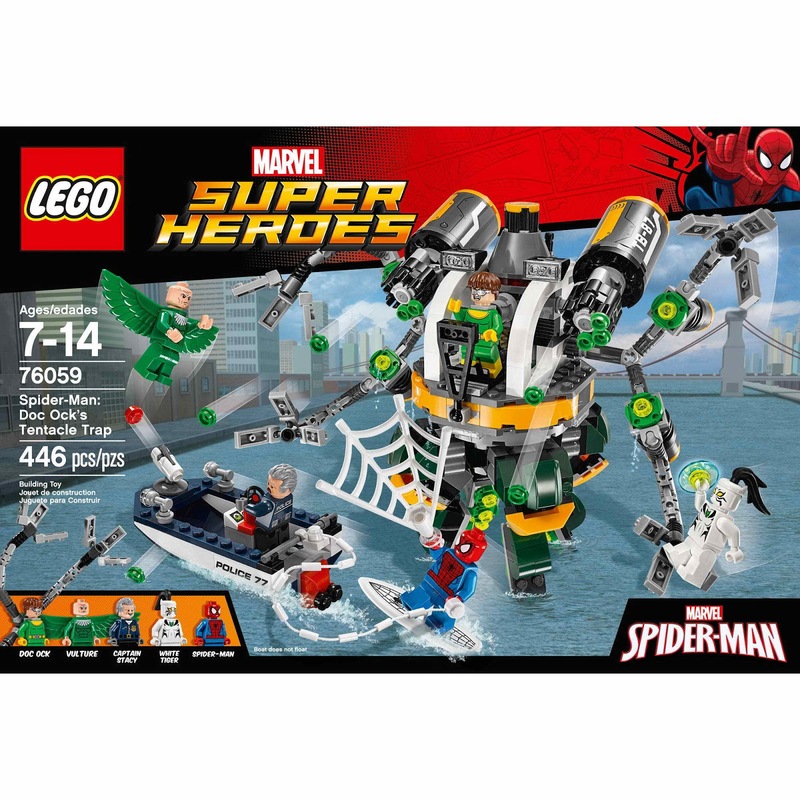 minifigs included a spider man minifig, a doc ock minifig, a vulture minifig, a white tiger minifig and a captain stacy minifig.